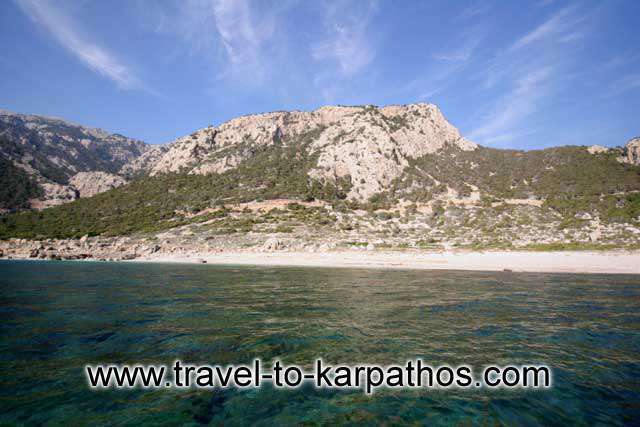 Are you familiar with Karpathos? Tell others your opinion. Write a review. 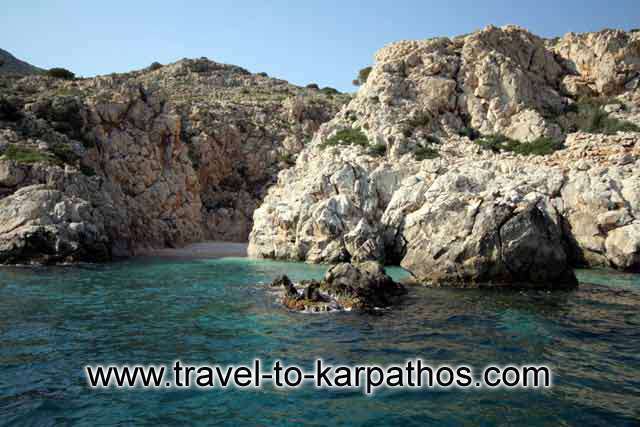 Karpathos island belongs to the complex of Dodecanese. It is the second in size island of the complex and lies at the southeastern part of it. 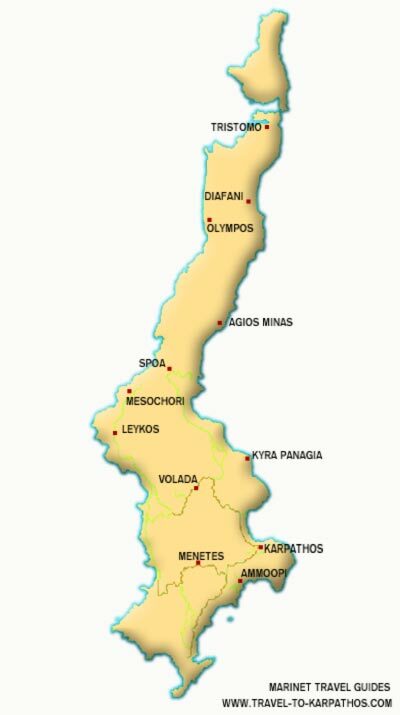 It has an oblong shape and a ground of 301 sq. km. 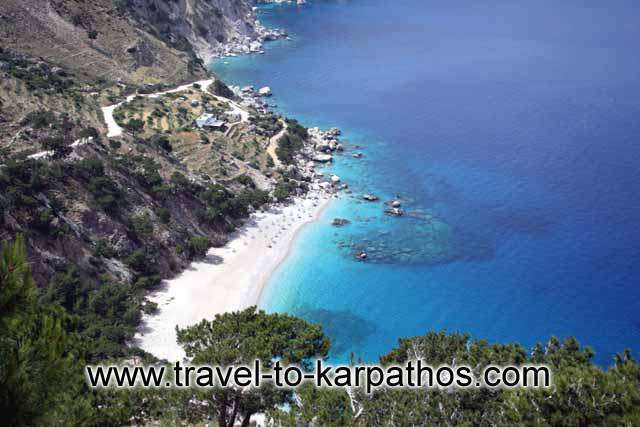 Karpathos comprises of ten villages, Pigadia or Karpathos Town is the capital. Rocky mountains, abrupt cliffs, valleys, small harbours and endless beaches, characterize this island creating magnificent landscapes. It seems that time has stopped at the picturesque settlements of Karpathos, which are built according to the traditional architecture and blend harmoniously with the surrounding area. Karpathians, try to keep their traditions and folkways alive. They still wear traditional apparels in every cultural event, festival or celebration. They mostly work with agriculture and animal husbandry. 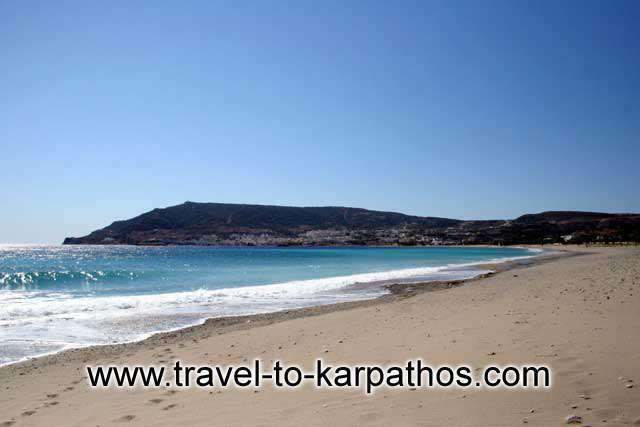 During the last years Karpathos has developed in tourism. Hotel complexes, apartments and studios offer a comfortable accommodation to all visitors. Entertainment options, sandy beaches, traditional taverns and many more will make your stay here unforgettable. Plan you holidays in this magnificent Dodecanese island and let it enchant you!